Who needs a big capacity adventure bike when the new F850GS is around? Its characterful engine manages to both purr and raw at the same time, handling is faultless, it’s comfortable, practical and a piece of cake to live with. Standard spec is impressive, optional extras more so and it’s less of a handful off-road than its 1200cc brother. The baby GS has finally come of age. For a machine with penny farthing-diameter 90/90 x 21 spoked front wheel (and 150/70 x 17 rear) the way it rolls into tarmac corners and nuzzles sweetly into an apex is a joy. 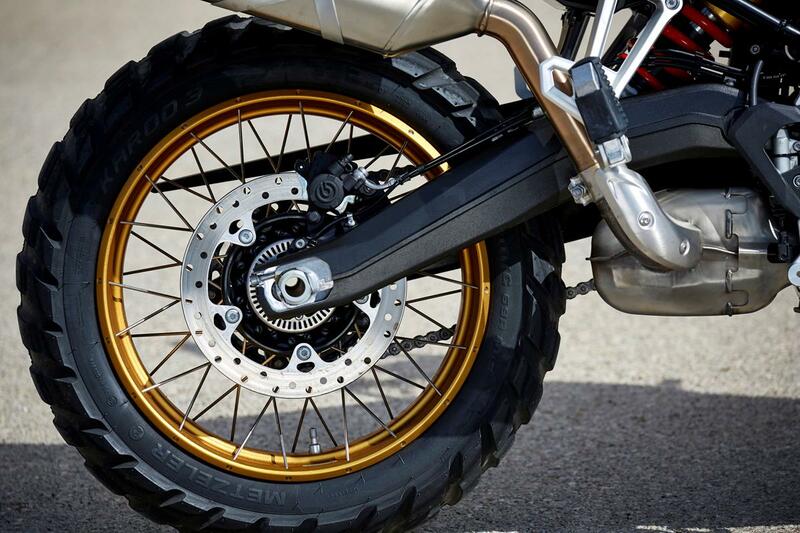 Tubeless Bridgestone A41 dual purpose tyres fitted to our test bike offer lots of confidence and grip in the wet and dry (it also comes on similar-genre Michelin Anakee 3s), the BMW is incredibly light on the move and there’s zero feeling of excess flab. It’s nimble at any speed, but reassuringly stable, too. All-day riding won’t be a pain, thanks to the F850GS’s comfy saddle, spacious legroom, slender fuel tank, natural bar position, wind cheating bodywork and screen. It’s not overly tall, though, despite its commanding stance, dirt-busting suspension travel and big front wheel. 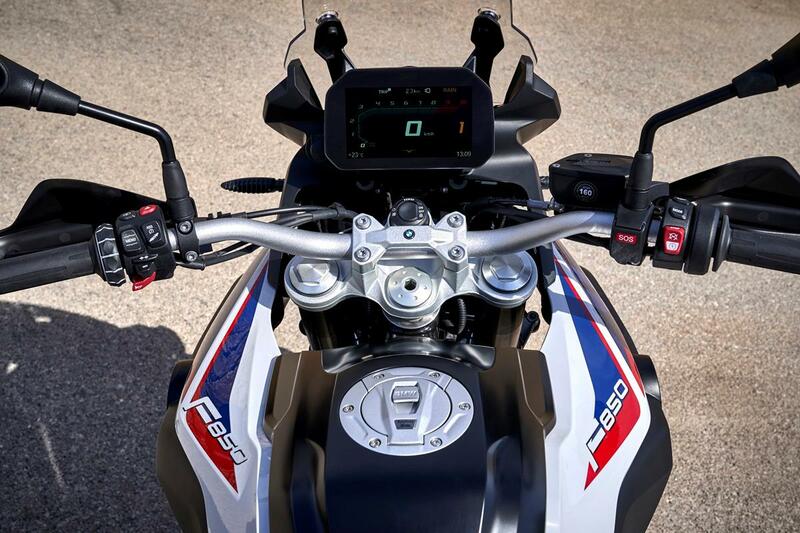 The standard seat is 20mm lower than the F800GS’s (860mm) and you can go lower or higher with accessory seats. 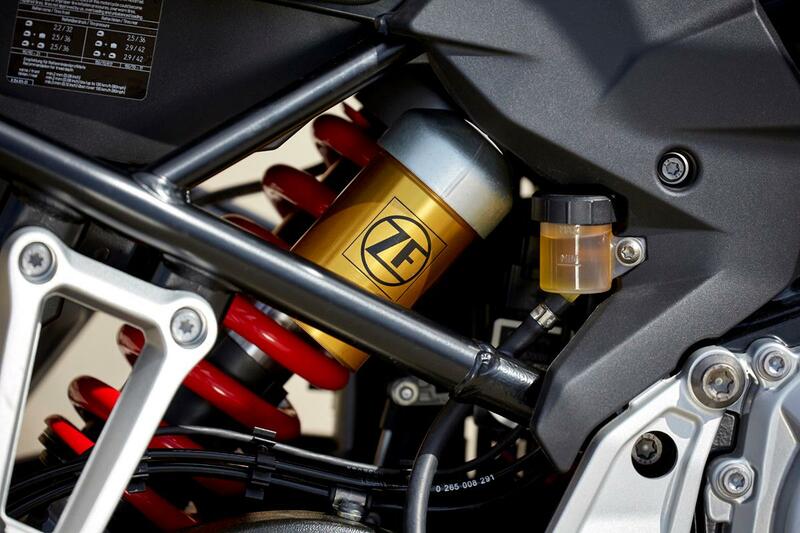 For those with a taste for off-road you can order your F850GS with Mezteler Karoo 3 knobblies at no extra cost. 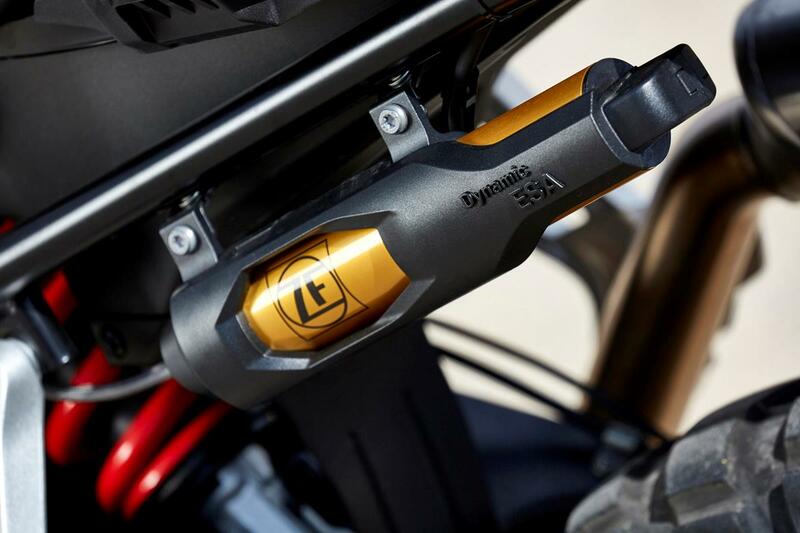 Whip some air out to let them grip the mud, soften the rear suspension (either manually, or electronically, if you go for the optional semi-active shock – forks are non-adjustable) and the BMW changes character. It’s just as easy to handle with mud between its tread, as it is on the road. The standing-up riding position is just as natural as it is sitting down and the Beemer’s nimbleness and easy engine character make it easier to manage on trails than the R1200GS, or any of its more powerful rivals. 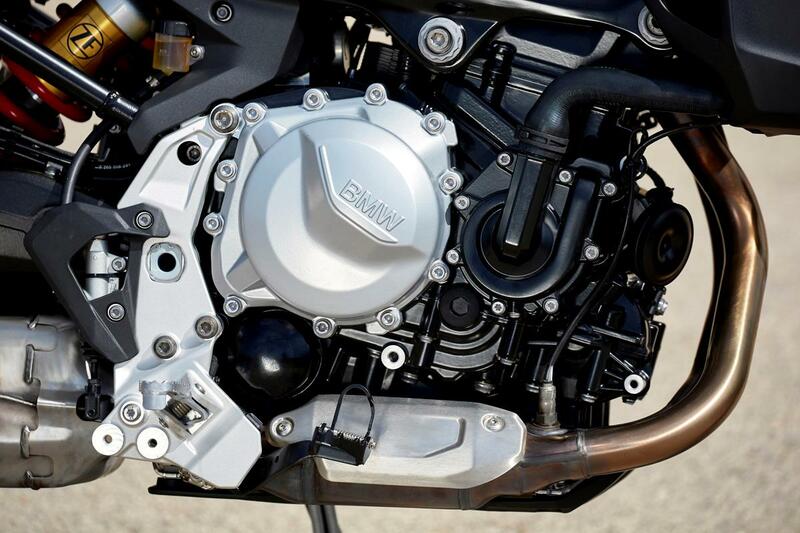 A thrapping, motocross-infused soundtrack comes thanks to the Beemer’s new crank layout and firing order. 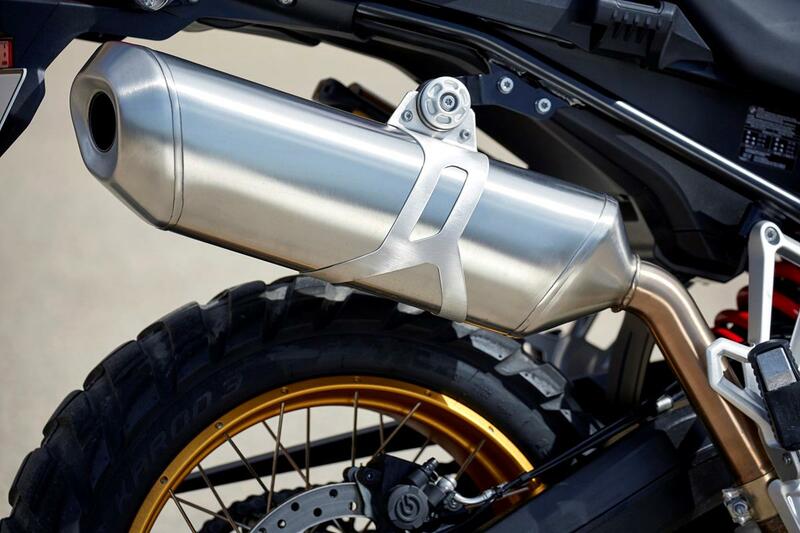 Gone is the old F800GS’s zero degree crankshaft journal and 360 degree firing interval, now the parallel twin cylinder motor has a 90 degree offset and bangs every 270/450 degrees. Four years in the making and over a million kilometres in testing, all this engine work results in a power delivery that’s packed with rumbling character and shimmering, smoothness. 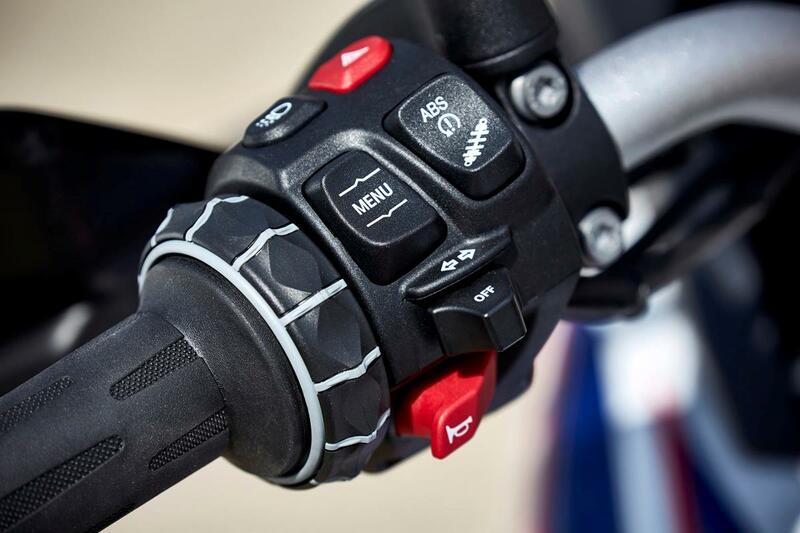 Low-speed manners are impeccable, the new ride-by-wire throttle is jerk-free, and the new lighter-action ‘anti-hop’ clutch serves to make the F850GS natural and easy to get along with at lower speeds. 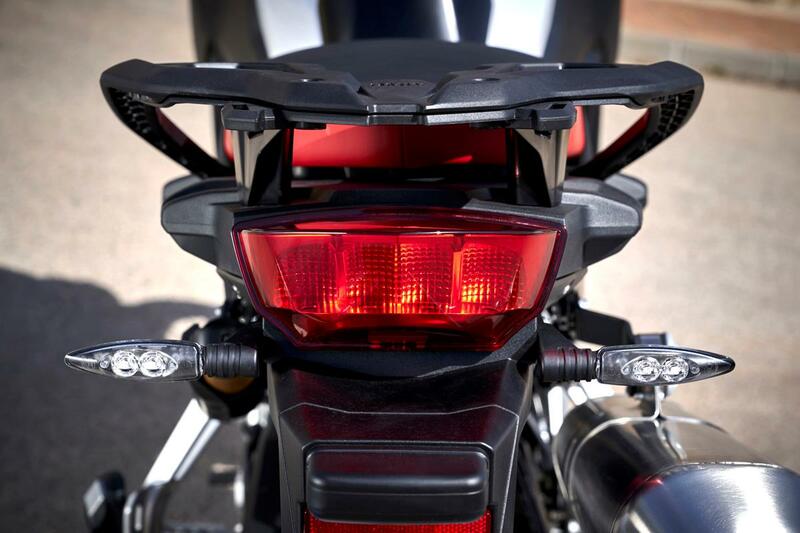 Power to weight ratio isn’t far short of the big GS’s 125bhp, 224kg, so acceleration and top speed are impressive, especially with its shorter new first-to-third and longer fourth-to-sixth gear ratios. But if you plan to smother your GS with luggage and people, the extra torque of the R1200GS is still the adventure bike to have. Build quality is superb, paint finishes and chunky plastics are top notch and the kind of attention to detail, from everything to fasteners, to the silky action of the switchgear, is everything you’d expect from a BMW. 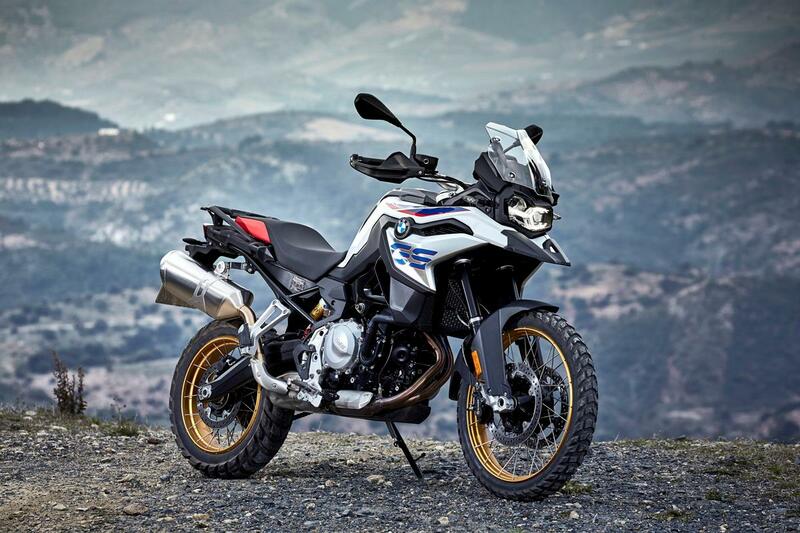 Owners reviews for reliability are mixed for the F800GS – most good and some bad, so only time will tell how this new model will stand the test of time. 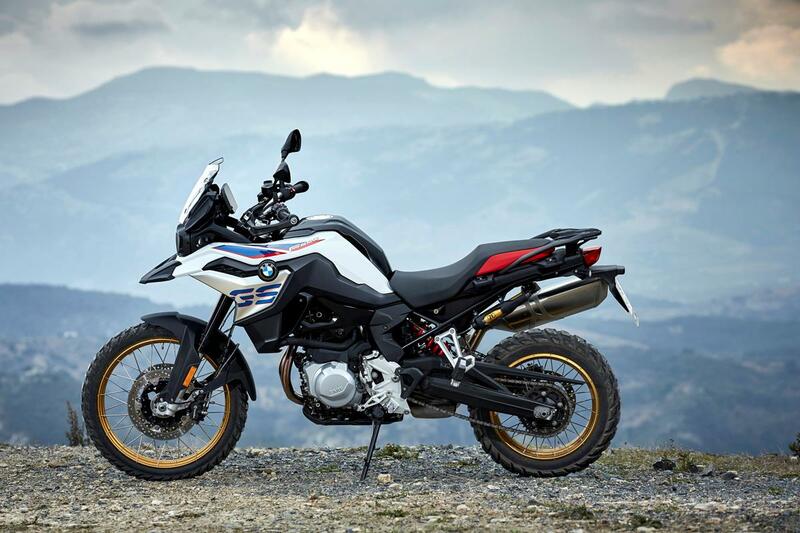 Its natural mid-sized adventure rivals are the identically powered and 21-inch front wheeled Honda Africa Twin and Triumph’s new Tiger 800 XCx. But it’s also a credible rival to one of the most popular sports tourers out there: the Tracer 900. Sure the Yamaha is cheaper, slightly lighter and more powerful, but the BMW handles a whole heap better, has a comfier riding position and has many more bells and whistles. 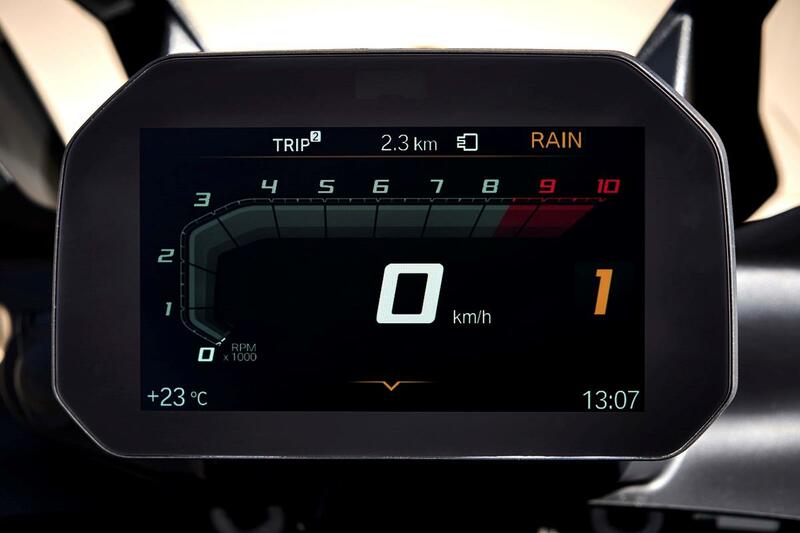 Go mad with the options boxes and you can turn your F850GS into an enduro-shaped superbike, with superb semi-active rear suspension, cruise control, a tyre pressure warning system, a multi-function 6.5in colour TFT screen with Bluetooth connectivity, keyless ignition and a bewildering array of official BMW parts and accessories.  2008: F800GS released. It was one of the first mid-sized adventure bikes and unlike the R1200GS with its boxer engine and shaft drive, this baby GS had a parallel twin-cylinder motor and chain drive. 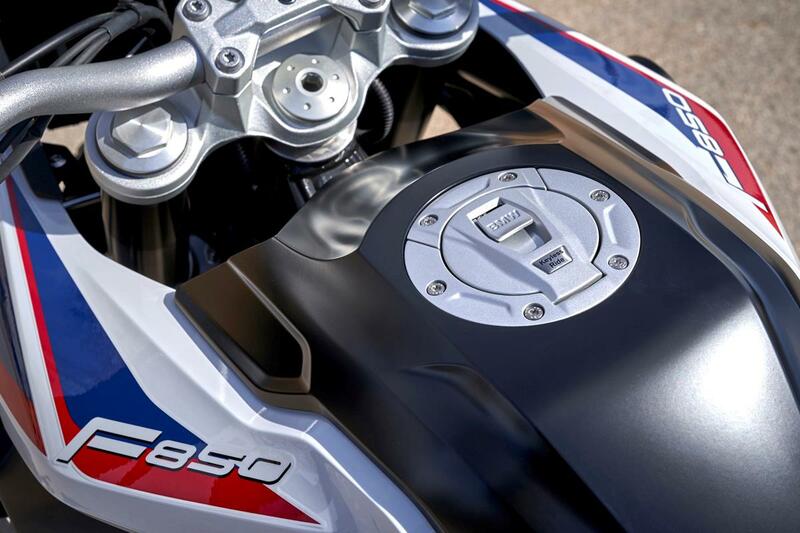 No owners have yet reviewed the BMW F850GS (2018-on).